British lawmakers, who look set to reject Prime Minister Theresa May’s Brexit deal next week, are risking paralysis and Britain potentially not leaving the EU, Britain’s foreign minister warned on Friday. Britain, the world’s fifth largest economy, is due to leave the globe’s biggest trading bloc in under 80 days but parliament looks likely to reject May’s negotiated agreement next week, increasing the possibility of a disorderly Brexit. 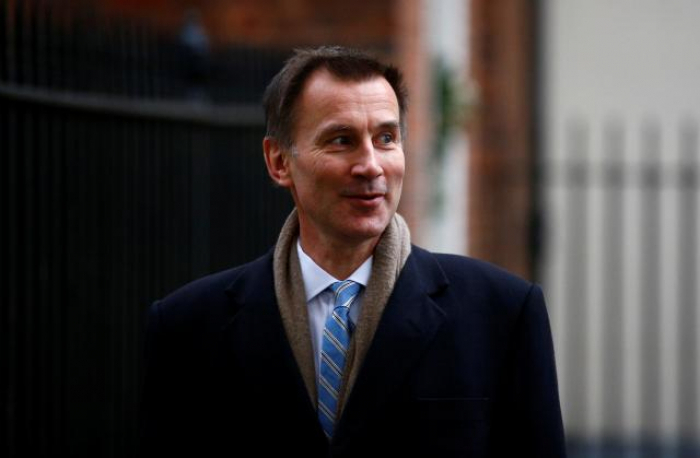 “What is more likely if this deal is rejected is that we have the risk of Brexit paralysis and when that happens no one knows what might happen and the big risk, and what people worry about, is that we don’t actually deliver what people voted for,” Jeremy Hunt told Sky News. Japan’s Prime Minister Shinzo Abe warned on Thursday that the world did not want to see a disorderly Brexit and that he fully supported May’s withdrawal deal. Many Brexiteer lawmakers want a cleaner break from the European Union and its institutions but Hunt said parliament, where Britain’s ruling Conservatives do not have a majority, would probably not allow the country to crash out of the bloc. “I think it’s now looking much less likely that parliament would allow a no-deal outcome,” he told the BBC.